Business leaders seeking to divest themselves of the responsibilities involved with server procurement, upkeep, and scalability can now rely on a remote data center instead. In tandem, however, these same developments have also rendered onsite server upkeep easier and lighter on resources. So which solution is best for your company? How should you decide whether you're better off with a data center service or a dedicated server room? Of course, each company has different needs, and what works best for one company is not necessarily going to be the best solution for another. Let’s consider the advantages and disadvantages of each approach so you can weigh the pros and cons to determine what makes the most sense for you. The advantages of maintaining your own server facility all come down to the fact that it's yours. All of the responsibility falls on you, but in exchange, you get to enjoy all of the benefits that come with complete control. And you can walk down the hall or take the elevator downstairs and physically touch the servers. You'll be the sole manager of your own facilities, and you can modify your system on your own terms, to accommodate any shifting needs, including expansion as your business scales up. That kind of versatile customization can be particularly useful if your system is unusually complicated, large, or includes many diverse applications. You are also able to manage your own security – which, again, grants you control over your system in a way that moving it offsite cannot provide. And since DDoS attacks are on the rise, you'd no longer have to rely on someone else to protect your network. The downsides of maintaining your own server room extend well beyond the substantial workload involved, although this parameter is surely significant to say the least. You may want your IT team to focus on initiatives that directly relate to your business, but when they're required to spend their time on maintaining the health of the server stacks and physical infrastructure as well, their attention will be split. When your data is stored in one physical location, backups are less effective. In the event of theft, fire, flood, or other disaster, you could end up losing everything with no recourse for recovery. Keeping your network local, moreover, makes it harder to expand your business to new locations. 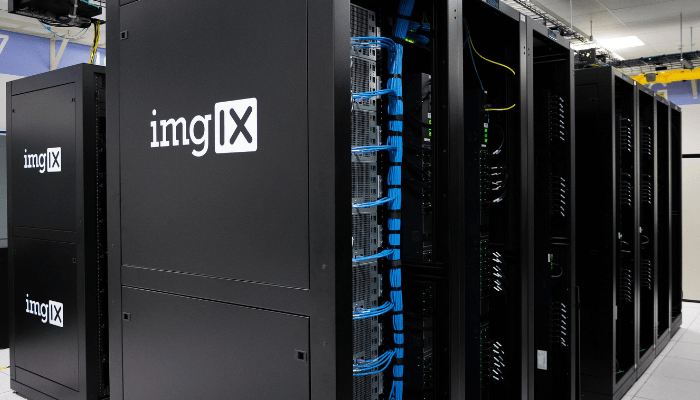 When you do open up new branches, you'll need to find good solutions for everyone to connect to headquarters, instead of both locations connecting to a facility that's made for offsite networking, which is the case with data centers. Up-front spending is significant when you invest in your own onsite servers. It's generally difficult to know how much capacity you'll need for growth from the get-go. This means you could end up purchasing a system that's either more powerful than you need or that isn't able to grow as your data needs expand. Particularly if you are running a small business or just starting up your business, you may find value in keeping your servers in a data center, where the combined buying power with other companies taking advantage of the same services helps to keep your costs down. By handing off the maintenance responsibilities, you are also far less likely to experience network outages, since data centers necessarily have redundant backup systems for network access, electricity, and climate control. Many even have their own backup power generators, which means that in the case of a local power utility outage, they remain up and running – and through no extra effort on your part. Depending on the nature of the data center, you may or may not have the ability to determine when your scheduled maintenance downtimes will be, and you may or may not be able to choose what hardware is being used for your server stacks. For many businesses, the colocation model is extremely attractive, as it allows you to bring your own hardware to the shared facility and can save you money. Although the financial burden involved with infrastructure and maintenance for an onsite server can be significant, your “upfront” costs for moving to a data center can be surprisingly high as well. Particularly if you opt for a colocation data center, where you provide both hardware and software, there may be major spending involved. Even when the data center provides all of these resources, though, you are likely to have to pay initial deposits and setup fees. Note that over time, these fees may begin to feel negligible, especially as compared to the ongoing cost of an in-house server stack. When you remove your server from your premises, you're going to lose a certain degree of potential for in-house oversight and control. If you completely outsource your server stack, you end up being fully dependent on the data center for maintenance, security, and uptime. This may well be to your advantage, but many prefer to be less dependent on remote third parties. When it comes to the data center vs. server room debate, there are a lot of factors to consider, many of which come down to personal preferences. The best way to make this decision, therefore, is to consult with an expert who can assist you in determining which of these pros and cons should outweigh others given the specifics of your case. If you're in the Washington, D.C. metro or surrounding area, we'd be glad to be that consultation partner. Just give us a call. To help educate you, we've created a guide with the 10 questions you need to ask before signing with a data center, and we'll explain why each is essential to getting you the right choice for your business. 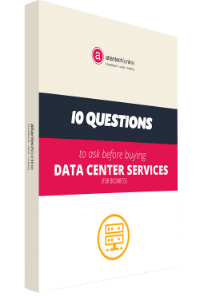 Download your free copy of 10 Questions To Ask Before You Buy Data Center Services For Your Business now.